Comedy as a Weapon kicks off its summer series with a bang. 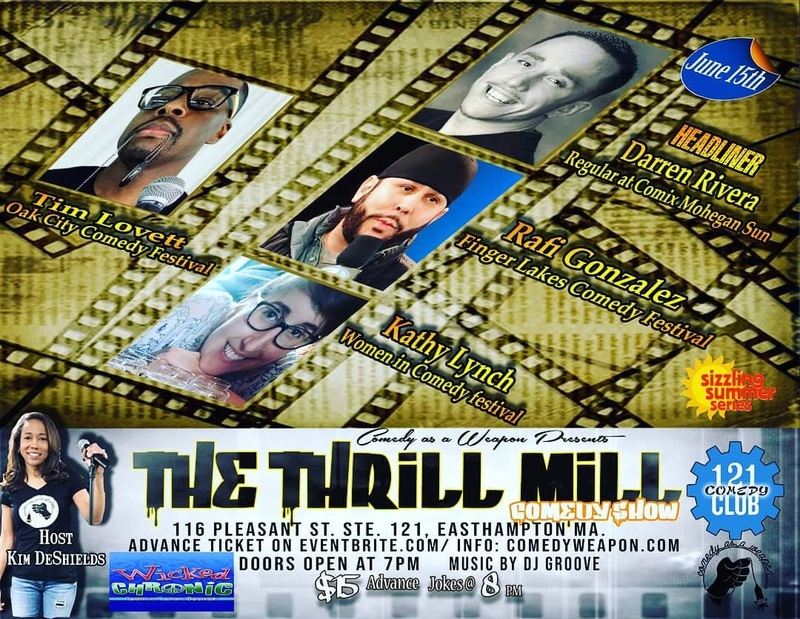 On June 15th, Darren Rivera headlines The Thrill Mill at 121 Club. Sponsored by Wicked Chronic. Kim DeShields hosts this night of laughs. Other acts include Rafi Gonzalez (Finger Lakes Comedy Festival), Kathy Lynch (Women in Comedy Festival) and Tim Lovett (Oak City Comedy Festival). 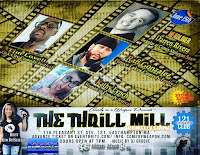 Darren Rivera, "The Rice 'n' Bean Joker," has been performing for 10 years, and aside from doing solo shows, Rivera is also a member of The Three Amigos of Comedy, a multicultural trio of NYC-based comedians with a simple goal in mind: to promote multiculturalism and diversity through laughter. Darren is a regular of Comix at Mohegan Sun. He also finds time to give back: he donated his time and talent to the Puerto Rico relief efforts.